At James R MacRae Agency in Harrisonburg, we understand the need for complete transparency, good service, and affordable insurance coverage. That is why we work hard to provide a comprehensive offering of insurance products. Keeping your vehicle properly insured doesn't have to be a financial challenge. Whether you are shopping for coverage for yourself or your family, getting the right amount of protection is easy. When you choose us, you are getting a partner who works for you. Peace of mind and financial security are what you deserve, along with an insurer that addresses all of your concerns in an accurate and timely manner. We are committed to offering you the quality of products and services you need so you can live life on your terms. Call (540) 298-9710 to speak with James R Macrae, or one of our other friendly and knowledgeable agents, at 370 Neff Ave. We are more than happy to tell you more about our insurance offerings and how we can build a comprehensive policy that works best for your protection and financial needs. 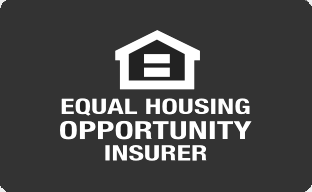 Every homeowner in Harrisonburg deserves to have the right kind of insurance coverage. These valuable policies provide peace of mind and valuable forms of protection for as long as you own your home. In the midst of all the unexpected things that can happen to a home, it is good to know that James R Macrae and the rest of our James R MacRae Agency team are working hard to help you. By providing exceptional Nationwide coverage customized to the individual needs of homeowners like you, we can help ensure that your insurance is doing more to protect you. Personalized insurance solutions take into consideration the distinctive qualities of your home and property. Homeowners policies designed to suit everyone might leave out important property features, such as free-standing garages, that are unique to your situation. James R Macrae can provide a fresh look at your existing coverage and your current coverage needs. This is a great way to make sure that you are not overpaying for insurance features that you do not need while still making sure that your entire home and property are receiving the right kind of protection. Helping people get more from their insurance is part of what we do. We are proud to be part of the Nationwide family of insurers. Filing claims and learning about your coverage is easier than ever thanks to Nationwide's extensive network or friendly agents. Harrisonburg homeowners and prospective homeowners can visit our office at 370 Neff Ave or speak with an agent by calling (540) 298-9710. At James R MacRae Agency, we want to make customers aware of how easy and affordable life insurance is. We know many people in Harrisonburg think they cannot afford to have a good policy that protects their financial interests. That is why we work with Nationwide to provide customers with the diverse coverage options they need to sleep peacefully at night. To better understand coverage options, we encourage you to contact James R Macrae at (540) 298-9710 to arrange a time to meet in office at 370 Neff Ave,Harrisonburg,VA,22801 to discuss your needs. For additional convenience, our agents are ready to help you go over coverage options over the phone. As a business owner, you're often the last person to leave the office or jobsite at the end of the day, but dedication has no doubt always been a part of your work ethic. At James R MacRae Agency in Harrisonburg, we have a similar view. We're dedicated to providing outstanding insurance options that are customized to suit the needs of many different industries, and that's why we work with Nationwide. We can provide coverage that will help you protect and build your business so you have peace of mind. 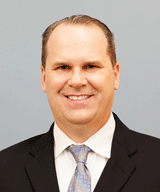 To learn more about commercial insurance, call James R Macrae at (540) 298-9710 or drop by our 370 Neff Ave office. You'll be amazed at the many options that are available for protecting the different aspects of your business. With the proper insurance coverage in place, you'll have one less thing to worry about when you finally leave work for the day.